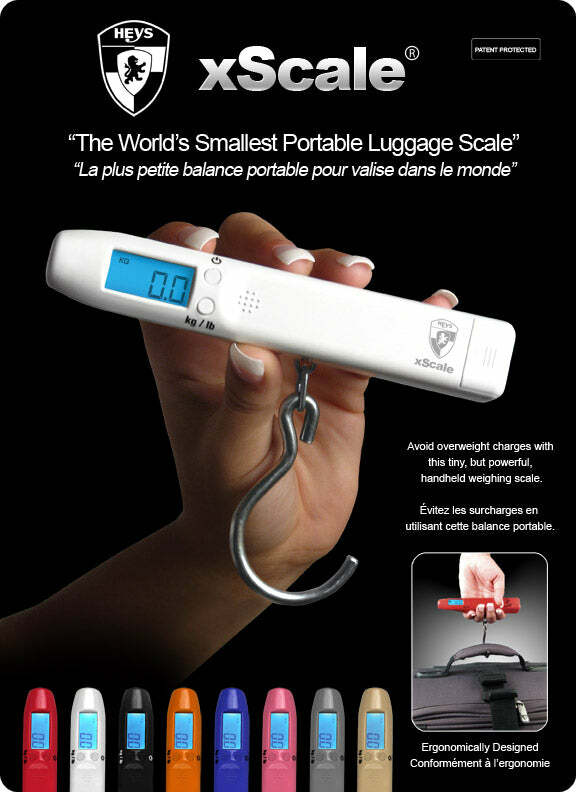 Avoid overweight charges with the xScale® - the World's Smallest Portable Luggage Scale. Now you can weigh your luggage on the go, as this tiny but powerful digital device will keep you from having to guess the weight of your luggage while you're away on a trip - or just preparing to leave for one at home. 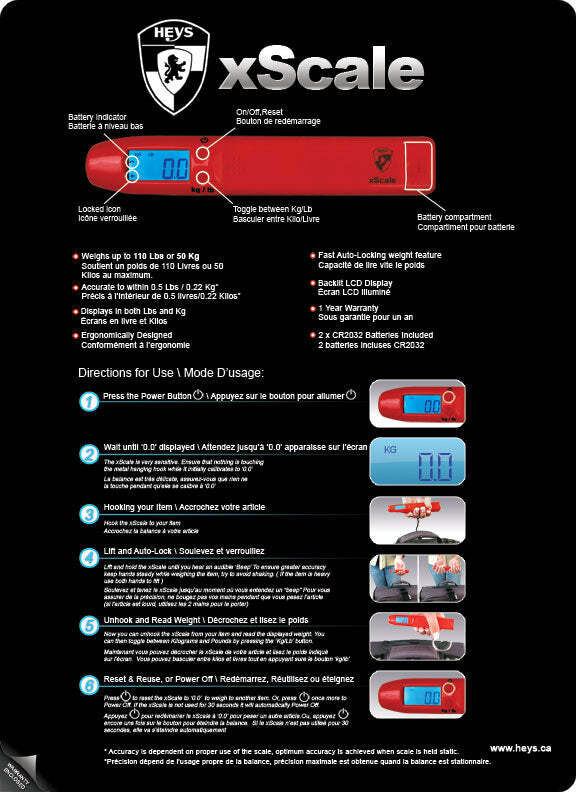 The xScale® is a hand held 'auto-locking' digital scale that can weigh up to 110 Lbs ( 50 Kg) The xScale® is not only tiny and robust, but more importantly it is ergonomically correct, as its unique 'T-bar' design fits the natural shape of your closed hand when picking up a heavy load. Designed and developed in Canada with Worldwide Patent Protected, the xScale® has a finely tuned circuit board that 'auto-locks' the weight of the luggage both quickly and accurately, even if your hands are not static when holding up your luggage. With the Blue Back-Lit LCD screen, the weight is easily read even in sometimes dimly lit hotel rooms. The xScale® comes with 2 CR2032 Batteries included and has a One Year Limited Warranty.